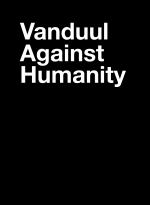 Vanduul Against Humanity by Brian 'Kinshadow' Murray is licensed under a Creative Commons Attribution 4.0 International License. 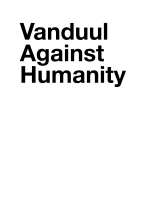 Based on a work at http://www.dreadcitizen.com/vanduul-against-humanity.html. 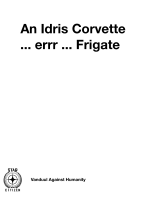 This is an unofficial, Star Citizen themed, Cards Against Humanity expansion. 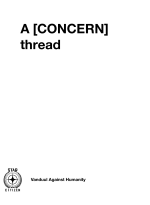 CAH is Creative Commons licensed, so this is all cool from a legal standpoint if you are wondering. 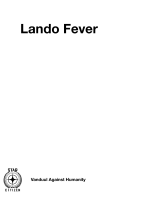 All the content here is also CC licensed, except for where there is a trademark owned by CIG. To play VAH, only use the VAH Black Cards (no CAH black cards except the haiku, unless you find one that is very cool and SC applicable). For the White Cards, each player maintains two 6-card hands: One for VAH cards and one for CAH cards (from the normal game deck). Just draw back up to 6 cards of each type after playing. There is no requirement to play with either type on a given round. You can alternately play with only VAH cards or only CAH cards (a hand of 10), but I don’t think that would be as fun. Also, on the design, I intentionally made a higher than typical number of PICK 2 Black Cards. This is so you can mix the CAH and VAH cards for funnier effect. 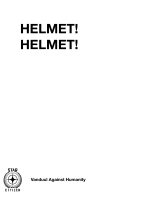 I plan on printing out a set for the next Beer Citizen I go to (we brainstormed games to play at the last Austin meetup and this was the top contender) and I’d love more ideas. If you have suggestions, additions, or modifications to the existing set, please post in this thread and I might add them to my list. Also, feel free to use these in your own lists for your own meetups. Lastly, I’ve found this very helpful tutorial on printing your own cards . This includes a Python Script and some templates, so I generated images for the cards (ZIP file) I’ve come up with so far in case you’d link to print them as well. The service listed in the tutorial lets you print in multiples of 18, but others only do 52 card sets. BTW, the service they list is ~$0.17 a card, so you might be able to find a cheaper solution elsewhere if you care less about the quality. 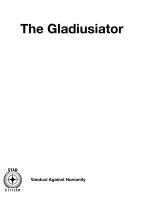 If you’d rather print and play at home, I've generated some PDFs (white cards) (black cards with one blank) (black cards with 2 blanks) that might be a better option on a regular printer. ​All the money in my wallet went to _____. 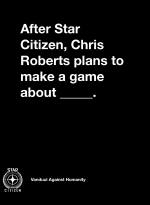 After Star Citizen, Chris Roberts plans to make a game about _____. Who is most likely to win in a dogfight? Evading damage is much easier when I _____. The Nav computer is always broken because of _____. My cargo hold is always full of _____. What do new backers just not understand? If I wasn’t spending money on Star Citizen, what would I buy? All the chicks on Nyx love my _____. The thrusters aren’t broken! They’re just _____! I always tell new backers to _____. What crime did the Advocacy catch me for? My bounty keeps getting higher and higher because I keep _____. My Starfarer is the best ship ever because of its _____. Where did you drop your cargo? The jump point charting failed and spit me out where? _____ convinced me to back Star Citizen! What reward did I get for the bounty? I glitched through a wall in Arc Corp! Where am I? Join the UEEN to kill _____! Where will the Vanduul attack next? I upgraded all the guns on my Aurora to _____. His _____ was lighting up my radar! The Cutlass was painted in the colors of the _____ pack! We ran out of ammo and started using _____. Why can’t mine the asteroid field anymore? My Herald keeps picking up transmissions about _____. Why can’t I fit in my space suit? My Constellation is so busted up that I feel like I’m flying a _____! It’s done when it’s _____. What’s the first thing you’ll do when the PU launches? What advice do you give new backers? 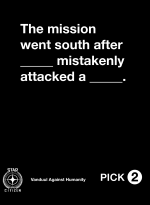 The mission went south after _____ mistakenly attacked a _____. To get Star Citizen to run on my computer, I had to _____ my _____. My Idris is crewed by _____ and _____. The pirate was on my tail, so I _____ _____! I love it when a dev gets on chatroll and _____ his _____. I love it when they say _____ on AtV and _____ on RtV. The _____ mission failed because we kept _____! Stop touching the Freelancer’s _____! You’re going to get _____! The trade run involved buying up ____ and selling ____. "Put the _____ cargo anywhere. ", he said. So, I put them in the _____. Clubby Blast was all out of _____, so I made due with _____. Despite _____, he won the battle with his Hornet equipped with _____.